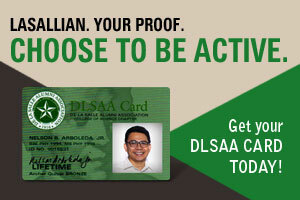 Who are qualified to apply the DLSAA Card? 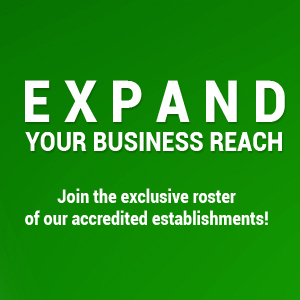 The following are qualified to become members of the DLSAA: Graduates of De La Salle University - Manila are qualified to become members of the DLSAA. Graduates are hereby defined as those who have either been awarded diplomas and/or conferred degrees in elementary, high school, college/university, and/or post-graduate levels. Non-Lasallians who, because of meritorious service and/or concern/involvement in DLSAA and/or DLSU System activities and/or projects, are confirmed membership by the Board of Directors. You will receive an email confirmation of your online application. Further instructions shall be posted on the email confirmation to process your membership card. Our DLSAA Card officer will process your application and will send your DLSAA Card within 10 working days (approximately 3 weeks for mailing addresses outside the Philippines). You can visit the DLSAA Office at Rm. 101 Br. Andrew Gonzalez Hall, DLSU-Manila to apply your DLSAA Card. Download and print this Application Form or get the application form from the DLSAA Office. Accomplish the form completely (please print all necessary entries then submit to DLSAA Card Officer. Present a valid ID together with the accomplished form (student ID for new graduates) for verification. Pay corresponding fees for your card renewal and application at the DLSAA Cashiering Officer. DLSAA Card Officer will take your photo and specimen signature and will process your card within 10 minutes while you wait.